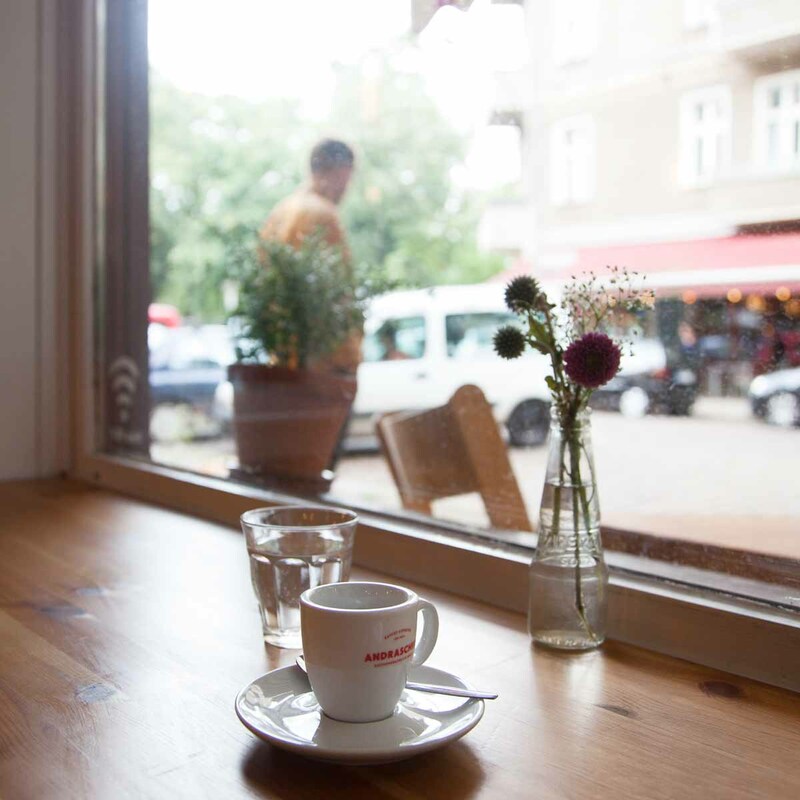 There’s always plenty going on at Boxhagener Platz in Friedrichshain. And the same goes for Neumann son Gabriel-Max Strasse. 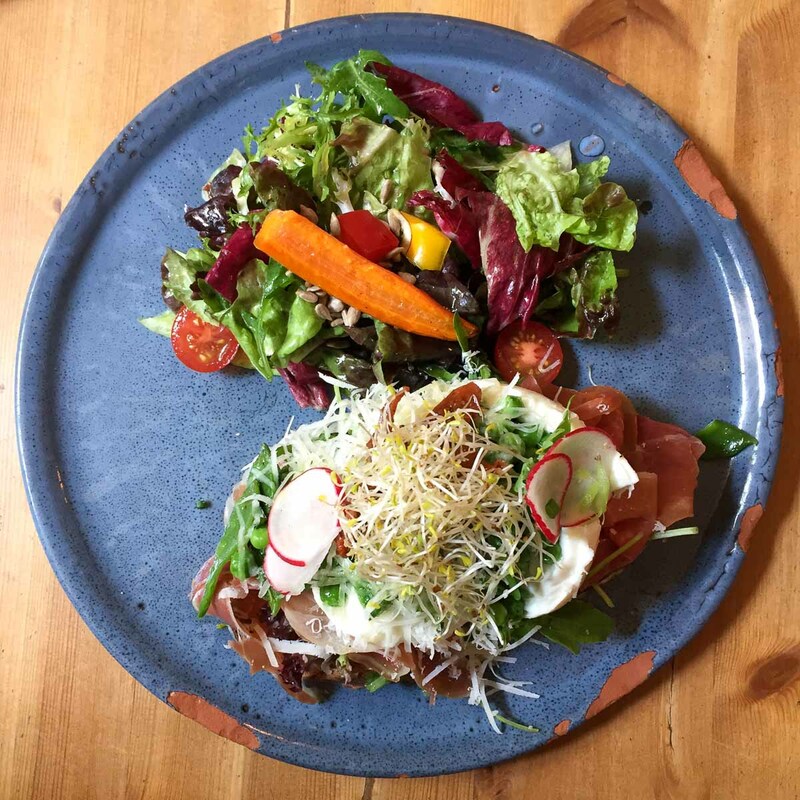 With their modern interpretations of open-faced sandwiches and jazzed up classics of German cuisine, they’re also in high demand. 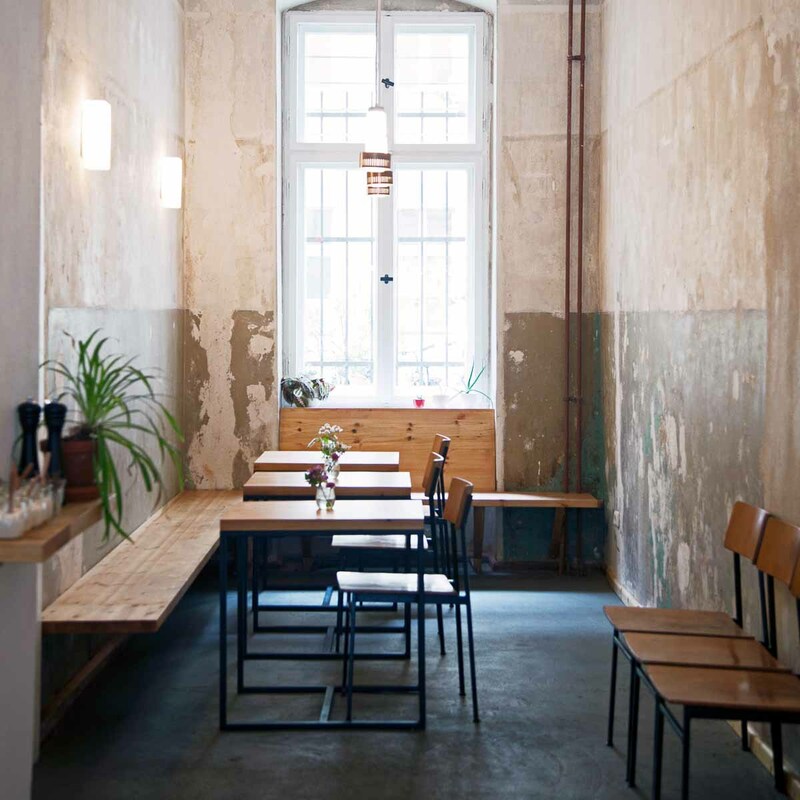 Mirrored in the charming minimalist-retro interiors you’ll find homestyle cooking that makes use of simple and honest ingredients, which are given a modern twist by owner Dirk Reiher and Iranian-born chef Henrik Keshishzadeh. 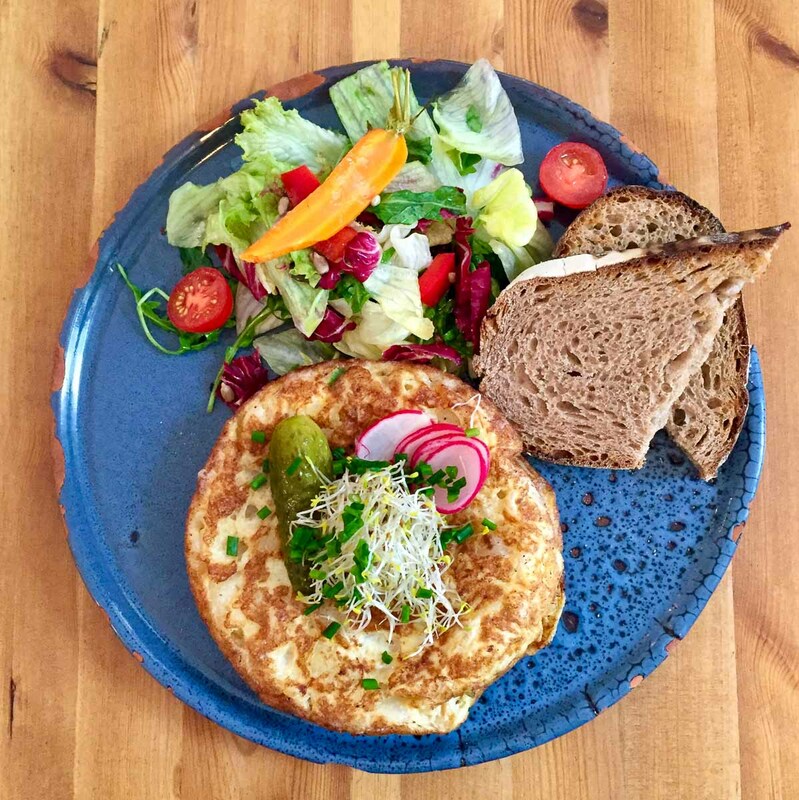 The “Bauernfrühstück” – a typical german potato omelette – for example, arrives as spanish “Tortilla de patatas” with sour gherkins and a salad, and the “Strammer Max” – fried eggs with ham on a slice of bread – is served with poached eggs in place of fried ones alongside decadent bacon from Berlin nose-to-tail butcher Kumpel & Keule. 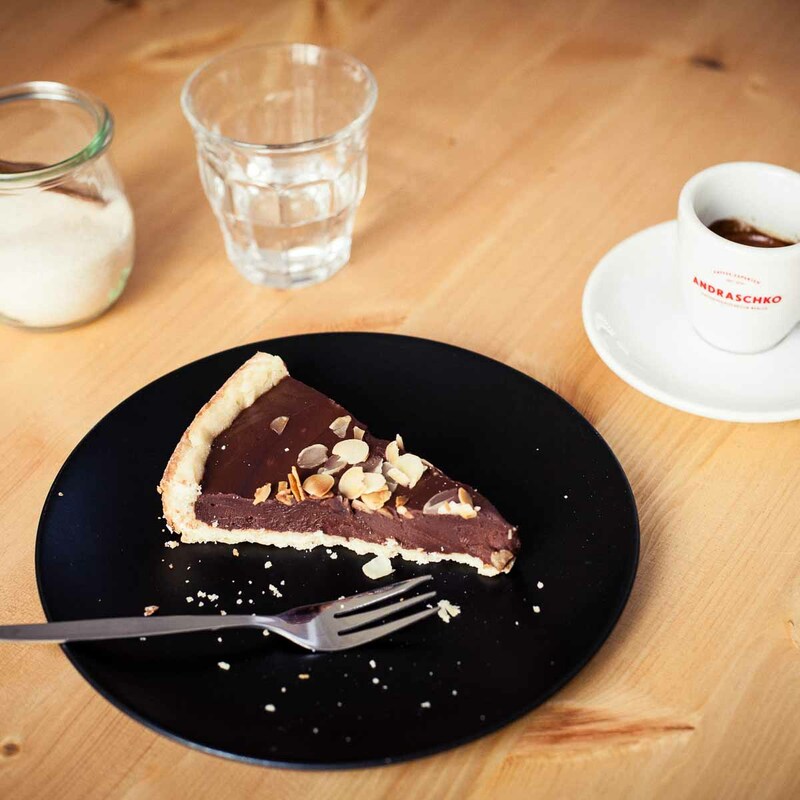 The eggs are from the Bioland farm WeideEi in Falkenhagen, the coffee from the renowned Berlin roastery Andraschko and the delicious sourdough bread, which essentially plays a part in every dish, is even baked in-house. Effort that truly pays off! 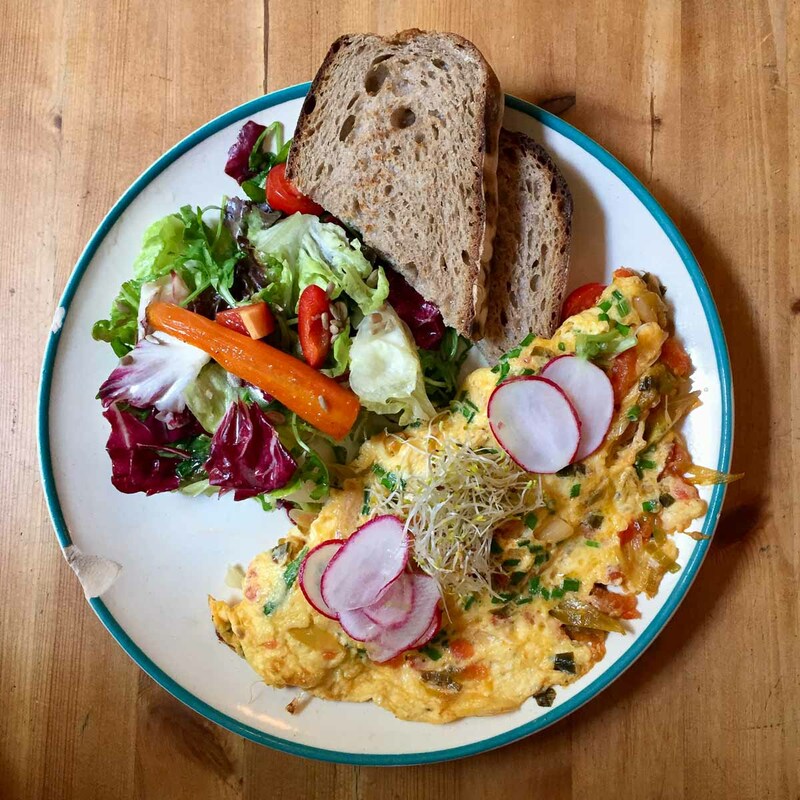 The omelette, plump with tomatoes, peppers and spring onions, is already a celebration in its own right, but the addition of salad and – naturally – bread make it a full-fledged meal that works at any time of day. Visually too. But all dishes at Neumanns are presented beautifully. “What a fantastic location” we think, and finish our visit with a delightful slice of homemade classic cheesecake. We will definitely be coming back!